Check for our ratings and past learner reviews! Our training classes are designed to suit each individual person. We can do weekends and evening and weekend lessons. We can also offer refresher courses for any driver, one to one training, which is excellent value for your money!. You will notice that we have been established for over twenty years in Liverpool. The reasons for our longevity in our competetive rates. “Excellent training with competetive prices, providing you with excellent value for money. Not to mention our customer relationship and our excellent high pass rates! Experience in Liverpool’s Roads & Maritime Service test routes, our approved local driving instructors can give you the required knowledge you need to pass your driving test. By choosing Sydney South Driving School for your driving lessons, you can be sure that you are also choosing experienced and well-qualified driving instructors. 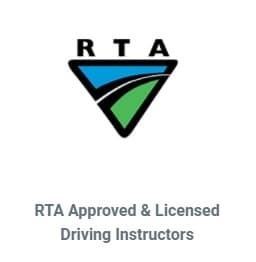 Our instructors teach to the ADTA driver training syllabus to ensure that you pass your driving test as quickly as possible! We are extremely proud of our history and our listing of training thousands of driving students in the Liverpool area to drive safely. Be assured that we’ll stay focused on what matters most, preparing new drivers for a life of collision-free driving. Give us a try. You won’t be disappointed. What is the minimum age requirement to apply for a driver license in Liverpool? You must be at least 16 years old before you can apply for a car driver licence in Liverpool or any where in Australia. This depends upon the individual. Extensive driving experience with your parents, different learning abilities, or increased confidence all effect on the amount of lessons required. Are driving instructor lessons compulsory to drive around Liverpool? No. However, Roads and Maritime Service statistics show learners who have not had lessons have less than 70% first pass rate. How long will it take to get my NSW Driving license? It is completely dependent on your skills and learning skills. We show you the safest and most practical way to learn how to drive, but each student is different. We won’t push you to go for your test until you’re ready to drive safely and understand all of the road rules.